Thank Stephen Hawking for taking a stand against Israeli Apartheid | Jews Say No: Not In Our Name! On Tuesday, May 7th, the Guardian reported that world-renowned physicist Professor Stephen Hawking pulled out of a conference hosted by Israeli president Shimon Peres in protest of Israel’s treatment of Palestinians, marking arguably the biggest academic boycott victory to date! Prof. Hawking has come under massive attack from those opposing the boycott. Click here to show your support for his principled decision! When the esteemed physicist Stephen Hawking announced his decision to boycott Israel’s Presidential Conference, a gathering of politicians, scholars, and other high-profile figures scheduled for June, the response was as predictable as the movement of the cosmos that inspired Hawking’s career. The conference chair, Israel Maimon, called the move “outrageous and improper,” while Omar Barghouti, a founder of the boycott, divestment, and sanctions movement that advocates protests against Israeli policies, declared, “Palestinians deeply appreciate Stephen Hawking’s support.”In fact, the decision to withdraw from a conference is a reasonable way to express one’s political views. 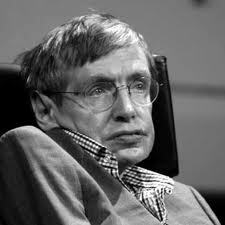 Observers need not agree with Hawking’s position in order to understand and even respect his choice. The movement that Hawking has signed on to aims to place pressure on Israel through peaceful means. In the context of a Mideast conflict that has caused so much destruction and cost so many lives, nonviolence is something to be encouraged. That is equally true of attempts to inspire cooperation on the Palestinian side.Chances for a peaceful solution in Israel and Palestine are remote enough without overreactions like Maimon’s. Foreclosing nonviolent avenues to give people a political voice — and maybe bring about an eventual resolution — only makes what is already difficult that much more challenging. We, the undersigned, wish to express our appreciation for your decision to respect the Palestinian-led boycott of Israeli academic institutions by pulling out of a conference hosted by Israeli President Shimon Peres. As students, professors, scientists, activists, organizations, and people of conscience across the world, we are inspired by this powerful demonstration of morality and the respect that you have demonstrated for your Palestinian colleagues.Your decision comes as Israel’s settlement project expands unimpeded; as nearly five thousand Palestinian political prisoners are held in Israeli jails and prisons — many indefinitely and without charge; as millions of refugees are denied their internationally-inscribed right to return to their homes and lands; as Palestinians within Israel are denied equal protection and rights under the law; as freedom of movement is denied in the West Bank and the Gaza blockade continues mercilessly; and as the U.S. government funds Israel’s violations of Palestinians’ human rights and international law with $3 billion in military aid annually.We are proud to stand with you – a leader, role model, and household name worldwide – in solidarity with Palestinians working for freedom, justice, and equality. This entry was posted on May 12, 2013 at 4:23 pm and is filed under Uncategorized. You can follow any responses to this entry through the RSS 2.0 feed. Both comments and pings are currently closed.